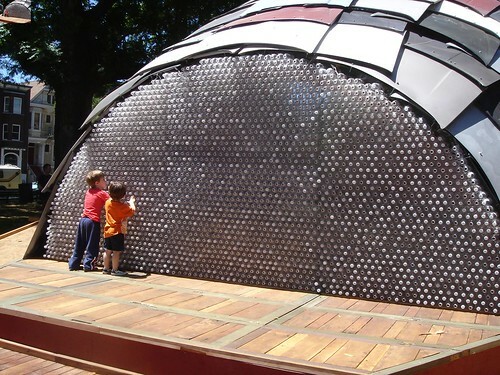 The Panhandle Bandshell was a collaboration between BRAF, The Finch Mob, REBAR Group, CMG Landscape Architecture and the North of the Panhandle Neighborhood Association (NOPNA). 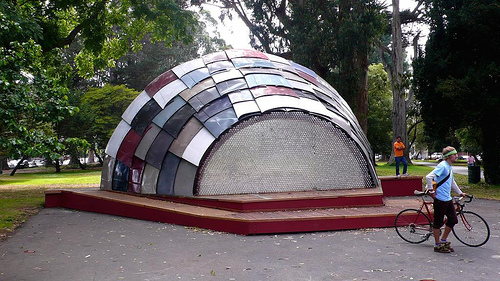 The Panhandle Bandshell at Panhandle Park, San Francisco, California. Photo by James Addison. 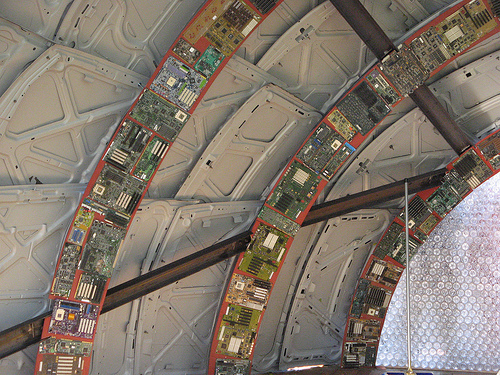 The Panhandle Bandshell is a full-scale performance stage constructed almost entirely out of reclaimed and repurposed materials, including 65 automobile hoods, hundreds of computer circuit boards, 3,000 plastic water bottles, French doors, reclaimed wood, and recycled structural steel. 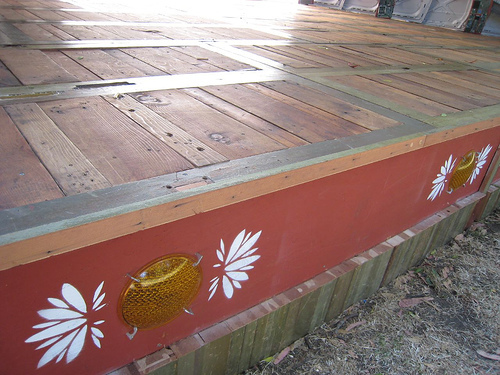 As a fully modular structure, it can easily be dismantled, moved and re-assembled anywhere. 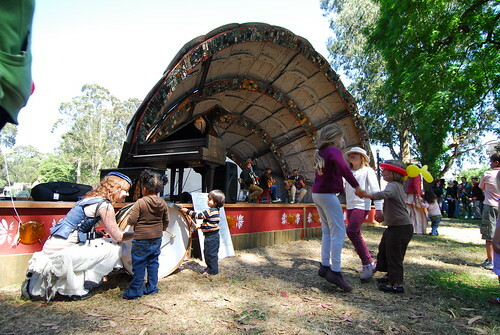 The back of the Panhandle Bandshell. Photo by Melissa Alexander. 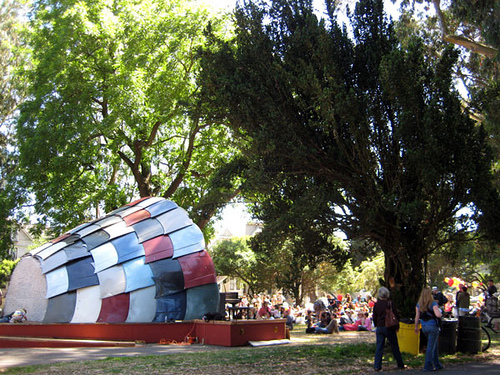 From June 23, 2007 to September 3, 2007, it was installed in San Francisco’s Panhandle Park, where it was open for both impromptu and scheduled performances. 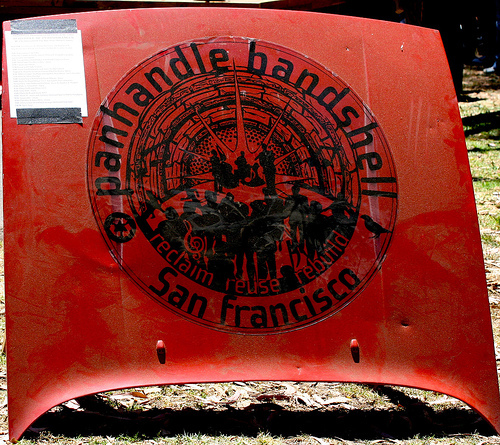 The Bandshell was dismantled on September 14, 2007 and moved to Treasure Island for winter storage. 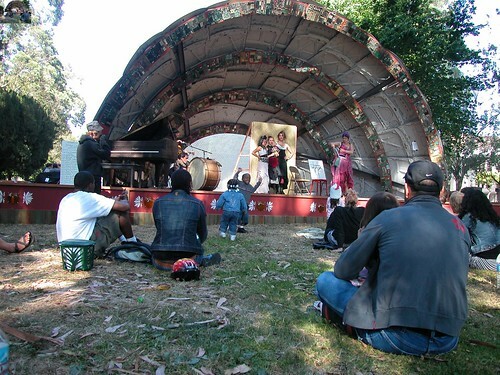 In the summer of 2009, it started a new life at a second location at San Francisco’s Fort Mason Center, where it played host to countless performances and gatherings over the course of the next year and a half. 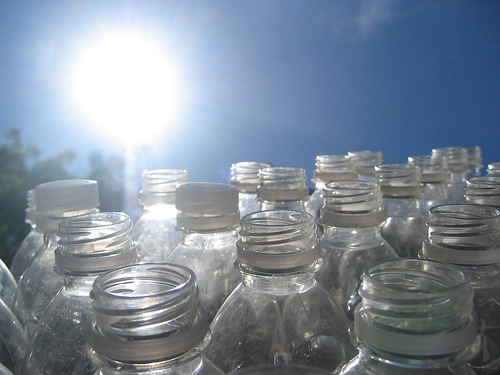 It is currently in storage again–awaiting installation at its final home. 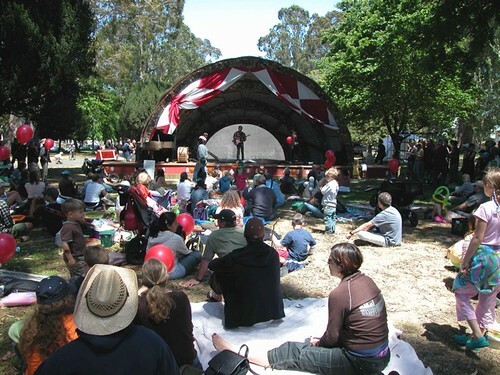 In addition to support granted by BRAF and the San Francisco Department of the Environment, The Panhandle Bandshell was also supported by the North of Panhandle Neighborhood Association, the Haight Ashbury Neighborhood Council, the Haight Ashbury Improvement Association, the Neighborhood Parks Council, the San Francisco Arts Commission, and Mayor Gavin Newsom.